Instagram Stories are a magnificent addition to the social network’s feature suite. 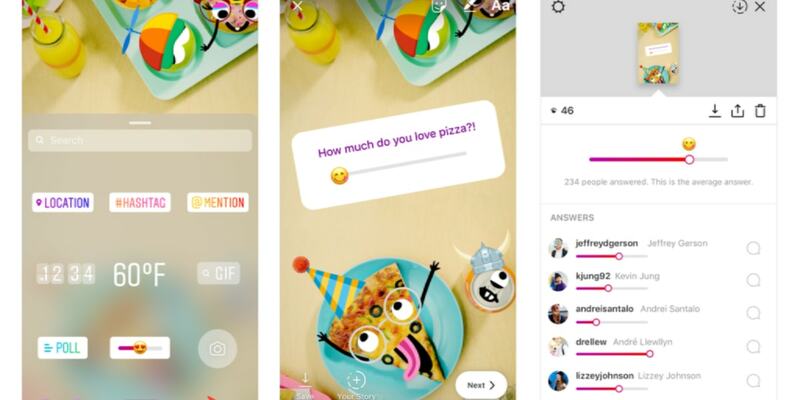 Although the concept was blatantly copied from Snapchat, it’s come into its own in the past year with cute filters, stickers, polls, and highlights. Instagram Stories is so popular it has over 300 million daily active users. There are over 500 million people using their Instagram daily, so that means 60% of users have adopted the Insta stories feature. If that metric wasn’t enough to get you on board, Instagram has reported that Stories encourage users to stay on the platform longer and visit it more frequently. Users under the age of 25 spend more than 32 minutes per day on Instagram. So, how can influencers take advantage of Instagram stories to keep their audience actively engaged? We’ve pulled together some helpful tips designed to up your Story game! Accounts with above 10,000+ followers have unique access to add "swipe up" links to their stories. Influencers can engage their audience and drive traffic to their blog posts, or direct followers to a special offer from a sponsoring brand. Invite a fellow influencer to do an Instagram Story Takeover. This usually involves another person "taking over" your account for a day. Ordinarily the guest will publish a series of photos about themselves, showing a glimpse of their life within a 24 hour period. With Instagram Stories, you can have them do an Instagram takeover without disturbing the flow of your posts. Find someone with a complimentary style and interests who'll captivate your audience. If you can, make this a collaboration, where you can do an Instagram takeover on their account too. This relatively new feature allows users to engage their audience with something we’re all eager to share - our opinion! Use Instagram polls to get opinions on future content ideas, or big life decisions. You’re limited only by your imagination! 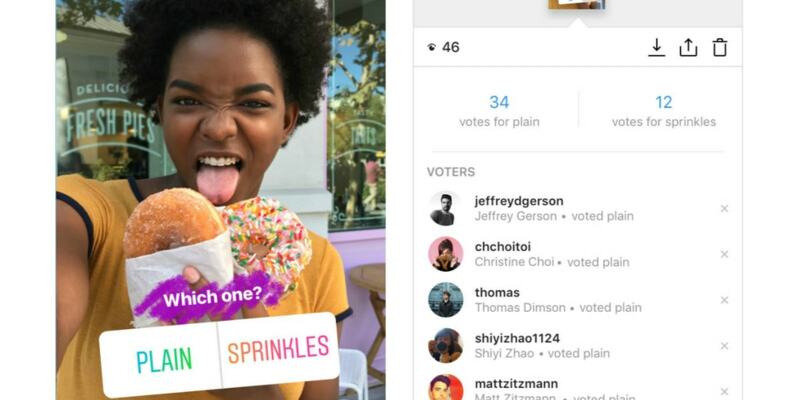 To create a poll, open your Instagram Stories, add a photo or video, then tap on the sticker button (far left). Click “Poll” and you’ll be tasked with asking a question. The default responses are “Yes” and “No” but if you tap on either one you can change them with any text (or emoji!) you want. To see the results of your poll, swipe up to open the viewers list for that part of your story. There you’ll see how many votes each option received, who voted and what option they chose. Behind-the-scenes - Influencers have earned their audience by being candid. Tie your stories together for a great glimpse into your world as a blogger, influencer and creator. Tutorials - Use stories to tease longer tutorials published on your website, Youtube, Facebook or another site. Q&A or FAQs - Do you get a lot of questions that can be quickly answered with a story? Pull them together over time to create a great Q&A or FAQ section right on your Instagram profile. Hot Tip - Use a free / affordable design program like Canva or Adobe Spark to create beautiful covers for your Instagram Highlights. You'll need to post them to your story, which might seem odd for 24 hours, but worth it in the end! Just make sure you select the cover photo first, when compiling your highlights. Announced at F8 2018, Instagram will allow users to share their favorite Spotify tunes through a sticker on Instagram Stories. When your followers click on the sticker it will take them to Spotify where they can listen to the song too. You can also share your GoPro shots via Instagram Stories. Just tap the share button in the GoPro app and your content will be pulled directly into the Instagram camera. From there you can edit and add to your story or send it via Direct. The influencer marketing industry is fast-paced, which means if you're not regularly learning about new features and best practices, you'll quickly fall behind. Keep checking this space to hear more about the latest innovations and changes being made by your favorite social networks. If you're looking for more information on what you can do with Instagram Stories, be sure to check out Instagram's Help Center. With every new feature they publish a series of helpful articles explaining how to use it and what to do when encountering issues.